I met my husband while he was in UPT school, which is military pilot training, so I knew when we started dating that I was getting involved with a military man. It’s not the first time I’ve dated current or former military members so I had a reasonable idea of what I was getting into. My own father served in the US Army in Vietnam and I had the privilege of working with many veterans years ago through a VA project. I am proud of my husband’s commitment to serve our country. He made the decision in the wake of 9/11 because he felt it was the right thing to do. As a member of the Rhode Island Air National Guard’s 143rd Airlift Squadron he will be deploying to Afghanistan August 24th. I got less than three weeks notice. 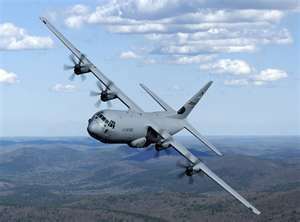 Above is a picture of a C130 plane that my husband flies. We knew this deployment for his unit was coming, however, when my husband broke his ankle (see previous post from April) playing football, I was sure that he would not be able to meet the physical demands for a pilot in a combat zone and that he would then not be deploying with his unit. 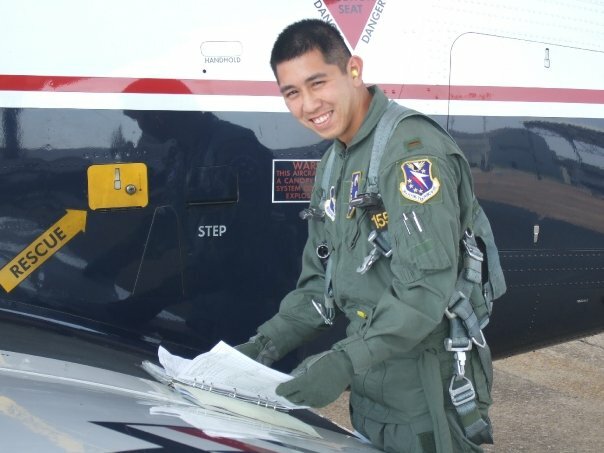 However, the decision has been made that although he cannot fly (the flight surgeon’s comment, “you really have to be able to run from the plane to fly” was not particularly reassuring), he can perform in a ground-based capacity doing mission planning. Since this decision was just made within the last week, it leaves us less than three weeks to prepare for his departure. My kids are both gone right now- one at his dad’s out of state and one at a leadership camp for children of deployed or deploying military members in Maine. They will be home this week and will have less than two weeks before my husband leaves. There is so much to do in that time. 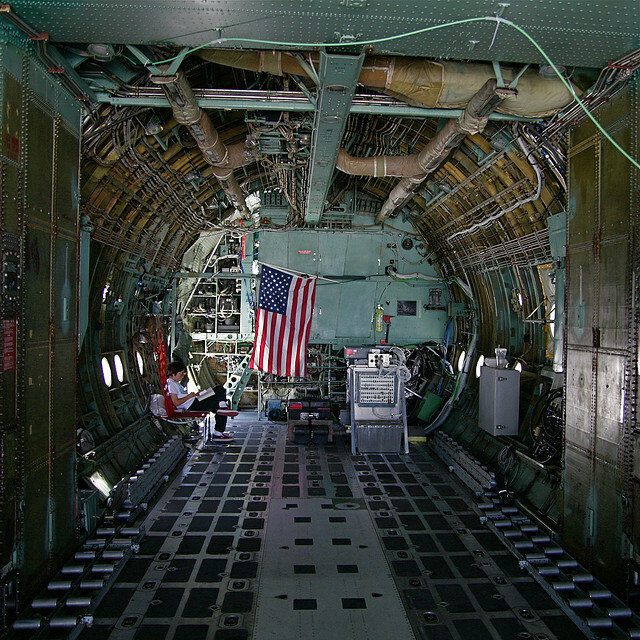 Above is an interior shot of the C130 plane that my husband flies. 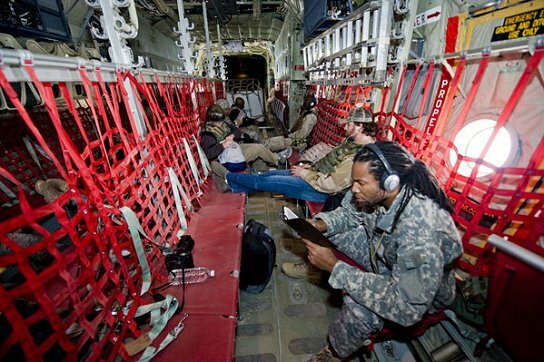 Above are the "travel accommodations" for flying in a C130 plane - this is how my husband will be flying to Afghanistan! I’m glad that we decided to bite the bullet and shell out for some Red Sox tickets when my brother and his family are in town. It was one of those things that we all wanted to do but were concerned about the cost. My oldest is a huge baseball fan and my youngest, normally is not a fan of athletics, fell in love with the Bruins at his first game. I figure the Red Sox are worth a try to convert him to a baseball fan. We have never been able to all attend a sporting event like this all together due to conflicting schedules so we decided that this was a great opportunity for a fun day before deployment. But while part of the preparations is focused on trying to finish some house projects and make sure that all legal and financial documents are in order, a large part is preparing my children for my husband’s extended absence. We are fortunate in that his deployment is only supposed to be for about three months. So many families face deployments of over a year and have already been on three or four of them in the past ten years. Because my husband’s civilian job as a pilot also means being away from home several days a week, my kids and I are used to doing the day-to-day stuff on our own. The difference is that now he won’t be home for dinner one night or to fix the “whatever” later in the week. In addition, my husband will miss my son’s entire first high school soccer season and my other son’s first theater performance. This is a loss for both the kids and my husband. There are many websites and blogs available to help support military families which have been very helpful in coming up with checklists, ideas for talking to kids, and anonymous venting. When you are part of an active duty base, there is a wide range of support services available and many people around you who are going through the same deployment. When you are part of the Guard or Reserves, the support is all at a distance. I have never been to my husband’s base. I haven’t met anyone he is deploying with. There are few military families in the town we live in so every day things like finding doctors who take our military insurance are a challenge. We will start the school year about a week after my husband leaves and I will need to explain that to all of our teachers, guidance counselors, Cub Scout leaders, coaches and other important people in my children’s lives. It can be hard just answering the questions repeatedly, but I find that people are very supportive when they understand. The bottom line is that my job as a mom is to prepare my children for the changes ahead, support them when they have their ups and downs, make sure that I keep their dad involved in their life from a distance and help them find ways to express their own feelings about the deployment. My husband needs to be able to focus on his mission while deployed and not worry about the house or the kids or me, more than he already will. I know that he has faith in me, and in our children, to ”maintain the homefront” while he is gone. We are proud of his service and will worry about him too. I have some giant yellow ribbons that will go up on our deck while he’s gone I’m making and I’m looking forward to preparing some surprises for him while he’s gone and figuring out cool presents to send him while he’s there. Please keep all of our troops in your thoughts and prayers until they ALL come home. Anthony, my teenager, dressed in Josh's equipment for a class project last year. www.herwarhervoice.com is a blogging site set up for members of “The Silent Ranks”, those left at home while their spouse deploys. They are also on Facebook. www.military.com has a wealth of information to assist families preparing for deployment as well as for tips on communication, links to military benefits, and preparing for homecoming. There are discussion forums as well as articles and links. www.spousebuzz.com is another site that has all kinds of information for military spouses of all types. www.milspouse.com who knew there was a magazine for military spouses? Not me! This is their website. www.deploymentkids.com offers a number of different activities for kids to do with their parents before they leave and to help cope with deployment. It has cool mileage and time zone calculators and some information about various area. www.clareco.net-veterans-docs-activity_bks_goodbye13-15.pdf.url offers an older activity book that addresses the issues faced by teens ages 13-15 and the questions that they may have. Many programs target younger children, but teens have some of the biggest challenges as they are old enough to understand the risks and also may take on additional responsibilities while their parent is deployed. http://www.cnic.navy.mil/navycni/groups/public/@pub/@hq/documents/document/cnic_044029.pdf this is another older activity book that was put together for children 6-8 titled “Goodbyes are Hard”. www.operationhomefront.net – provides emergency assistance to families of deployed and injured troops such as food assistance, auto repair, local moving assistance, childcare during medical treatment and other types of assistance. www.operationhugahero.org – provides “daddy dolls” to children that have pictures of their family member on them. This program is open to families of military members, contractors supporting Homeland Security initiatives, fireman, police and other first responders. This is a great program for those with young children to keep mom or dad “close”. www.militaryfamily.org – Several different programs are offered to support the children and spouses of military members. Operation Purple Camps provide children who have deploying or deployed parents with week- long camp experiences that include coping skills. They also offer Family Retreat programs and special programs for Wounded Warrior families. In addition, scholarships for military spouses are available. www.uso.org – Yes, the USO not only still exists, but continues to serve our military members through USO centers, providing opportunities for troops to record videos of them reading stories to send to home to their children, providing free phone cards so troops can call home, entertainment options, and care packages. www.ourmilitarykids.org – This organization supports children of National Guard and Military Reserve members, as well as wounded warriors from all branches of the service, who are deployed by funding extracurricular activities such as sports, fine arts and tutoring for their children while they are away or recovering from inury. This helps maintain stability for the children and gives them something to look forward to while their parent is gone. Finally, Boys & Girls Clubs of America has a program provides free memberships for children of military members. Participation is up to each individual Club, however, I know the Boys & Girls Club of Brockton has participated in the program for the past several years (www.bgcbrockton.org). 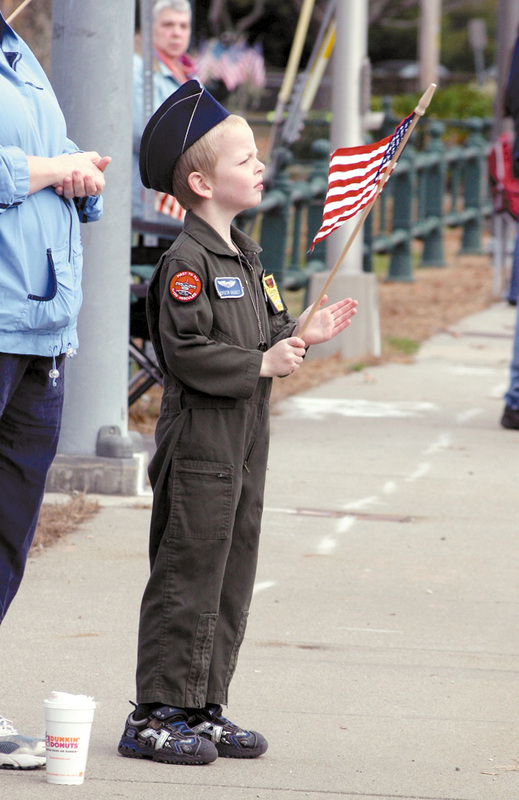 This is a picture from the Norton Mirror of the Norton Veterans Day parade in November of 2009. 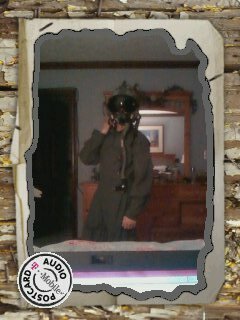 It captured my son Andrew in his flight suit. I can’t imagine how hard it is to have your husband go off to duty. Thanks to him for what he does for our country and thanks to you for the sacrifices you also make for the rest of us. Good luck to you and God bless you and your family for your service to our country. I truly believe an entire military family serves, not just the one who deploys. So, thank you! My dad is a Vietnam vet and I recently helped him type out his memoir of his deployment. It really made me see my mum and dad with new eyes. We were lucky enough not to have my husband deploy in the six years we’ve been married, although he finished up his active duty and spent 3 years in the guard during that time. But, I have friends and family that have deployed so can imagine what you’re going through. My cousin-in-law organized a great Christmas box drive for my cousin’s unit last year. If you want me to get you in touch to find out how she did it, let me know. Again, wishing you the best!